Sandra was named to the Innovate Finance, Women in Fintech 2016 Power List and holds directorships / founding memberships on several industry boards as well as advises several emerging tech start-ups. 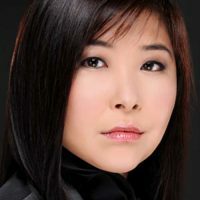 Previously, she served as a former Treasurer and founding board director of the Enterprise Ethereum Alliance (EEA) and founding member of the Post Trade Distributed Ledger Group (PTDL), founding member of Linux Foundation’s Hyperledger. Previously, Sandra was the former Executive Director of Digitization at CME Group, where she was responsible for the company’s digital asset and blockchain/distributed ledger technology (DLT) initiatives. Previously as Executive Director Foreign Exchange (FX) Research and Product Development, she was responsible for the global development of CME Group FX solutions within listed and cleared OTC products. Prior to joining CME Group in 2011, Ro led the EMEA M&A FX and interest rates derivatives advisory group at Morgan Stanley, London and worked at Deutsche Bank as a FX structurer on the London trading floor. Ro holds a M.B.A. in Finance from London Business School and a double B.A. Degree in History and Studies in the Environment from Yale University.